Mommies like me are always on a hunt for new bread spreads to keep the children from getting bored with the same everyday taste. Recently, our household favorite Cheez Whiz released a new variant, the new Cheez Whiz Mild. 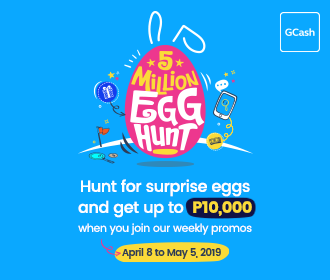 The launch started with several activities such as Pillow Art decoration, CHEESEvention where we created our own snacks using Cheez Whiz Mild as one of the toppings, a personalized flipbook and had fun jumping at the gigantic inflatable. The new variant was introduced by Ms. Rachelle Virata, Cheez Whiz Brand Manager and would you believe the very affordable price?! The Cheez Whiz Mild comes in a 220g jar for only PHP 83.00 and in 62g sachets for PHP 25.75. 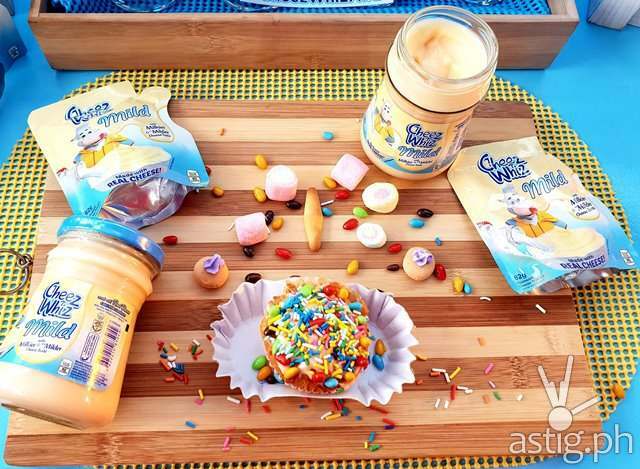 “Mondelez Philippines, the maker of Cheez Whiz Mild, aims to be the best snacking company in the country. To do this, we continue to work in providing consumers with exciting flavors and provide new taste experiences for Filipinos. We are always listening to consumers and we have found that Moms and their kids also want to experience a different cheese taste, something milder and tastes milkier. 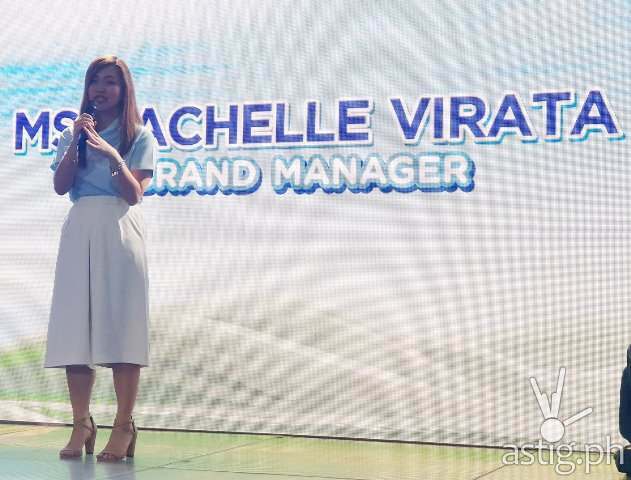 Thus, Cheez Whiz Mild was born,” says Rachelle Virata, Cheez Whiz Brand Manager. 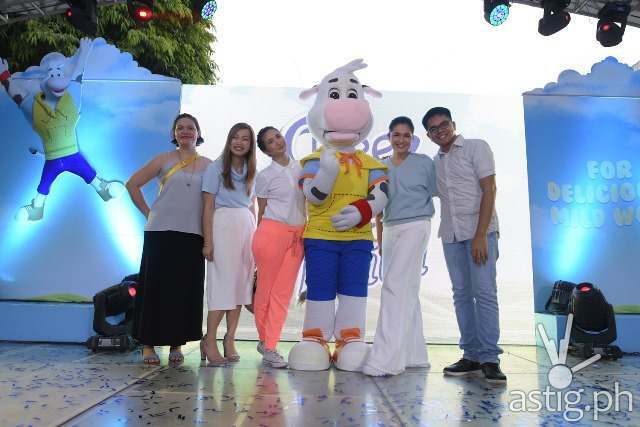 Ms. Dimples Romana and Cheez Whiz Mild mother-and-son ambassador Rica Peralejo and Philip Bonifacio also graced the event, shared their Cheez Whiz “baon stories” and even played at the gigantic inflatable. Rica Peralejo-Bonifacio is known to be a hands-on mother and wife to her family. Just like any mom, she wants what is best for her child. 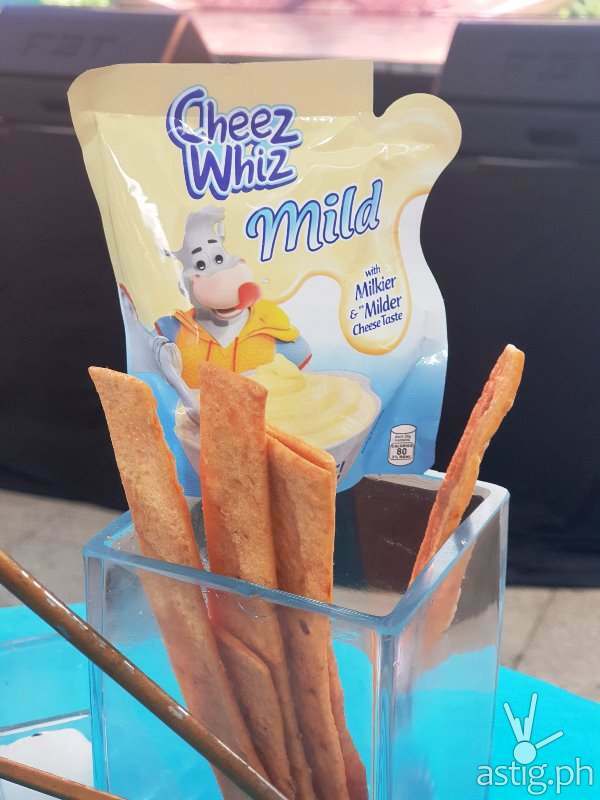 “Cheez Whiz Mild is milkier so I am naturally drawn to it because I’m a milk lover! Philip and I both love it as a snack with our crackers. For baon naman, I spread it in pandesal,” said Rica. You will definitely love this new taste of Cheez Whiz Mild and you can get it at all groceries and supermarkets.